Description : Model 266AST is an absolute pressure transmitter suitable for liquid, gas or steam applications. 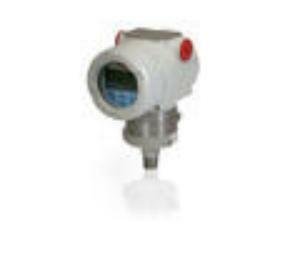 Model 266AST is an absolute pressure transmitter suitable for liquid, gas or steam applications. It can be configured by choosing within a broad selection of options, such as fill fluids and wetted materials, allowing operation even with critical process media at harsh environment. Thanks to its long-term stability and proven reliability, 266AST is simply the best application solution for absolute pressure measurements. 266AST electronics module with its on-board auto-configuration functionality reduces plant downtimes in case of failure and increases general productivity and availability. Moreover, its intuitive plug-and-play display with easy setup procedure really helps users to save time and have lower maintenance and inventory costs. In addition to the traditional configuration tools such as local keys, LCD indicator, hand-held terminal or PC configuration software, the innovative TTG (Through The Glass) technology allows users to set-up all instruments’ parameters in the field without removing the windowed front cover. This innovation leads to a significant time saving, highlighting ABB commitment to satisfy users’ needs of simplicity and flexibility. Thanks to the IEC61508 certification (SIL2/SIL3 loops) the 266AST represents the smartest solution in Safety loop applications.